This looks like a good tool for naming my next project. Sift through recently expired (always within the past 7 days) .COM domain names in order of their pronounce-ability, characters & first letter. 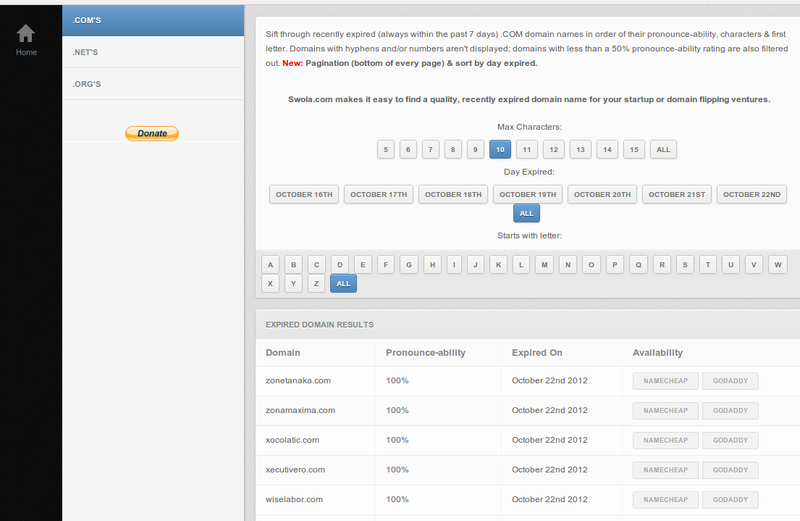 Domains with hyphens and/or numbers aren’t displayed; domains with less than a 50% pronounce-ability rating are also filtered out. New: Pagination (bottom of every page) & sort by day expired.